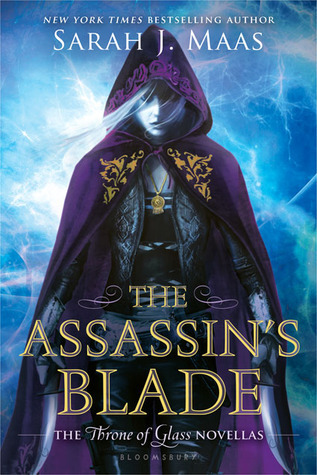 The stories contained in this volume are much more meaningful if you’ve already read at least the first book of the series, Throne of Glass. They fill in details referenced in Throne of Glass about Celaena’s background, and how exactly she came to be in the position she’s in at the start of that book, but they have more impact if you already know Celaena. If this was your first outing with her, you probably wouldn’t get to know her well. Each story is connected and leads fairly logically from the previous one, though it doesn’t quite have the cohesive feel of being a novel — it’s definitely episodic. If you enjoy Celaena, it’s worth picking up; it fleshes out details about her past and gives more weight and meaning to some of the things she says and does in Throne of Glass. It’s an easy read, too; for all that it’s 450 pages worth of storytelling, it seems to fly by. « Review – Where Am I Now? Cait @ Paper Fury recently posted…10 Books I Didn’t Read in 2016 Because I Get Distracted Easily By — OH LOOK A SQUIRREL!! No, you can’t read them out of order… and I’m not even sure they mean much without already having read Throne of Glass, anyway! It makes sense to release them as a collection later, but I remember when they came out in the run up to the release of Throne of Glass (at least in the UK), and that was kind of weird. I read the first one and just didn’t see the fuss?